When Sergio Marchionne presented the industrial plan to the potential investors on May 6th in Auburn Hills, many analysts considered that it was too ambitious. Fiat and Chrysler combined are quite far from the 2018 goals in terms of production volumes and income/revenue. But the highest concern among financial markets is how the automaker will raise the capital it needs. To relaunch a brand such as Alfa Romeo and to double Jeep registrations isn’t a cheap task. The company needs money to do it and now it’s dealing with losses of 173 million euros (in the first quarter) due to the Chrysler acquisition. Despite the skepticism of many investors, the usual critics coming mainly from Italy, and the fact that it is not the first plan presented by Marchionne, there are some reasons why the investors and analysts should believe this time. Totals may change as they are based on the graphics showned at the Investor day and some of them didn’t have the metrics. In total the group wants to sell almost 2 million more vehicles coming mainly from USA and China. Brazil is suposed to face more competition, while Europe will benefit from premium sales. Source: FCA Investor day charts. 1. Sales growth is correctly distributed. Not all regions play the same role. The largest part of the growth come from where FCA has a small presence (and a lot of opportunities) or from growing economies. It is for sure that Indian market will continue to expand. Chinese car market is expected to grow less but allowing the small players to increase their sales. Brazil, where Fiat leads since 2002, will play a key role for Jeep brand as the new Pernambuco plant will produce the Renegade. Based on the charts presented at the Investor day, around 51% of total volume growth (2,55 million units) will come from APAC and LATAM regions. China and India account for 33% of that increase. In terms of variation, APAC is supposed to jump a massive 455%, followed by NAFTA, up 44%, and closely by LATAM, up 41%. EMEA is expected to grow ‘only’ 27% by the year 2018. Most of the growth will come from Asia and Jeep brand. Alfa Romeo will also play a keyrole as a new entry in USA and China. Source: FCA Investor day presentation May 2014. 2. The brands strategy improved. Chrysler and Dodge will not compete anymore. Fiat will concentrate on what it does better, small cars. Alfa Romeo will be finally in the premium segment without hurting Lancia. Lancia, full of heritage and loses, will be concentrated in Italian market only. Maserati will cover the luxury segments starting from the upper range of Alfa Romeo. RAM and Fiat Professional will cooperate without competing as they will respect their markets and at the same time they will share some products. Ferrari will continue to make the best super-sport cars, keeping its exclusivity (not as Lamborghini will do with the arrival of its SUV). 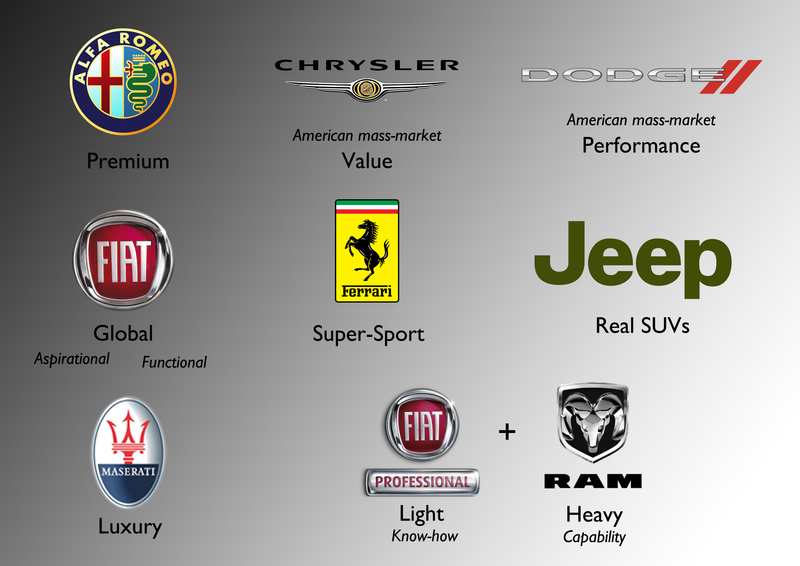 Jeep will become the other big pillar of the group (along with Fiat brand) making use of its strong identity. By 2018 the 10 brands of the group will have a clear mission. 3. The momentum of premium brands. A big part of the growth on sales and specially on profits will rely on Jeep and Alfa Romeo brands. The boom for premium cars started in Europe but it is gradually arriving in third world economies. Alfa Romeo sales are expected to jump 480% while Jeep’s will grow 157%. Maserati is expected to increase its sales by 60.000 units from last year results, up 400%. The reason for these big goals is explained by the fact that sooner or later the premium boom will arrive massively in China, Latin America, India and some ASEAN countries where middle class will expand and therefore there will be more millionaires to conquer. With the right products, quality and service, these 3 brands will find their place in the premium segments. Even PSA is having quite good results with a new brand such as DS in China, or BMW has been able to increase its sales in India despite the problems with high taxes. All German premiums have benefited from Chinese demand, while Jaguar and Land Rover are having record profits and sales. 4. 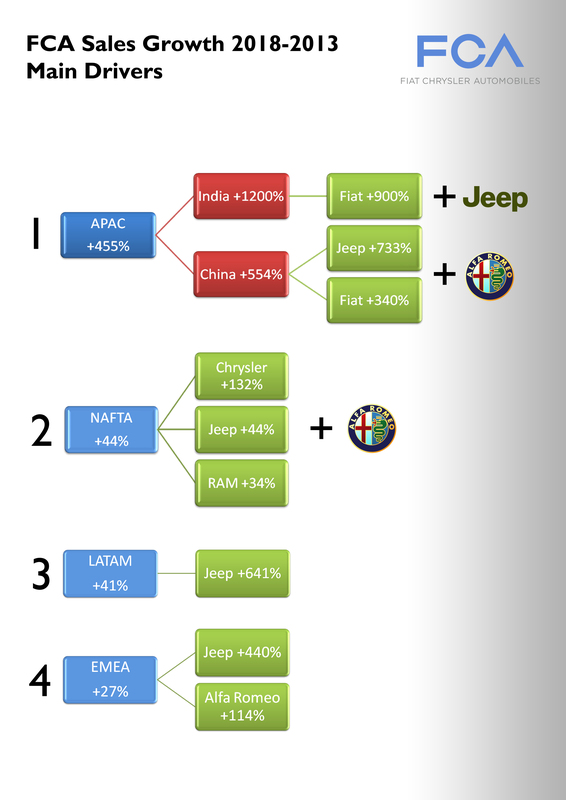 The enormous potential of Jeep and Alfa Romeo. Both brands have a strong heritage and a big awareness in almost all markets, and even in those where they aren’t even available. 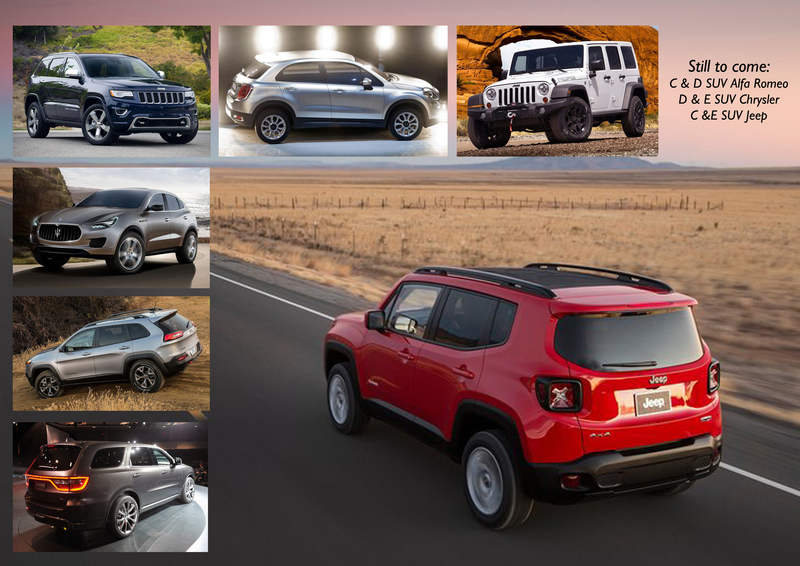 Jeep is known as the ‘jeep’ brand for excellence, and many people call ‘jeep’ other SUVs from other brands. There’s a good connection between people and the brand. It is appreciated and followed by many fans. It is already the world’s largest SUV brand and this can help even more to achieve 2018 goals. Alfa Romeo is also highly appreciated but in a different way. Certainly it has some image problems in Europe. But the brand itself, its history of success, its design identity and the enormous potential it can have by cooperating with Maserati and Ferrari, can be the starting points to build demand in other markets where there’s only the memory (such as USA). 5. A story of success. Sergio Marchionne knows how to get the deals done. Since 2004, when he assumed as Fiat Group CEO he has proved to be a hard to follow manager (he has presented many plans for the Italian brands and no one has been accomplished yet) but at the end he rescued the Italian auto maker. Then he did the same to Chrysler by paying 1/10th of what Daimler payed 10 years before. He anticipated European crisis by going abroad and buying a bankrupted company. He understands so well the market that he postponed Fiat launches in Europe in order to avoid future liquidity problems such as the ones that PSA or Opel are having now. He’s been able to keep most of the Italian factories, negotiate with governments and labors, and at the same time keeping Fiat’s market share in Italy. Under Marchionne’s reign Chrysler became the automaker to delivered the highest total sales growth between 2009 and 2013. His focus on quality encouraged big changes in many plants in USA, Italy (Pomigliano was prized with the World Class Manufacturing), Poland (Tychy as well), and the construction of what will be the FCA’s most advanced and efficient WCM plant. 6. Italy isn’t the main pole anymore. 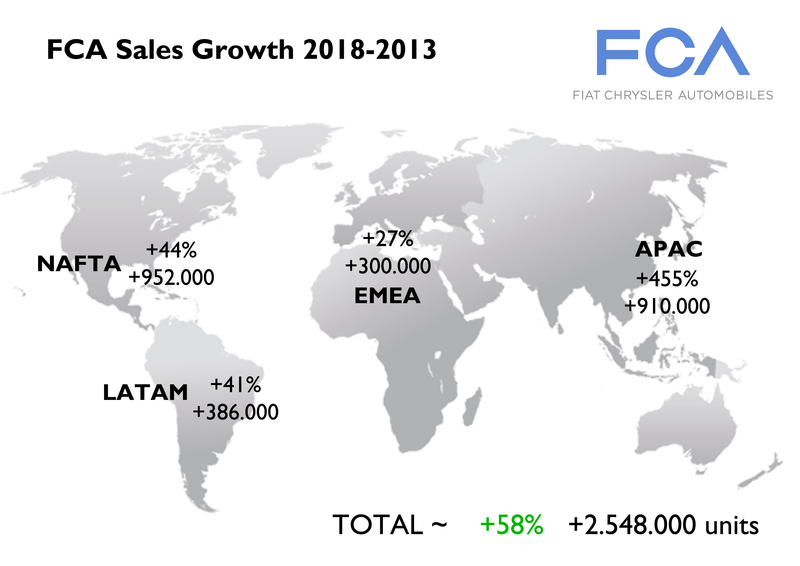 In 2013 Italy represented a bit more than 10% of FCA worldwide sales. In terms of production it was even lower. It means that what used to be the main market and the center of decisions is not anymore. Due to the European debt crisis and more taxes, Italians stopped buying cars. The market is no longer the big one that was strongly supported by government incentives. Now Italy is living what is maybe the reality: 1,5 million cars per year with higher corporate/fleet sales and the car sharing gaining visibility. But Fiat has more problems at home. It has to deal with its labors, with 5 plants producing at very low levels, and with a very inflexible work-law. Sergio Marchionne knows this and that’s one of the reasons why the new HQ are no longer located in Turin. Italy became another important market but not the center of the decisions. Whatever happens there won’t affect the new company as it used to. It doesn’t mean that it is not important anymore. Certainly Italy will become an important export platform of premium cars. 7. Fiat, a multifaceted brand. The brand is clearly adapted in the markets where it operates. The independence of regions allows to have a dedicated positioning that doesn’t have to be the same everywhere. One thing is Fiat in Brazil and one completely different Fiat in Europe, or Fiat in USA. Regarding Europe it is the only brand that can have two sub-brands within the same brand: the 500 family (somehow like the Mini brand) and the functional family (to compete with the mainstreams). 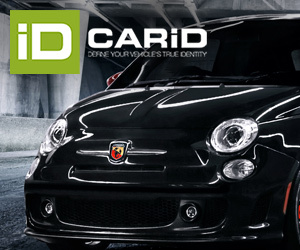 This can enlarge Fiat brand’s target and better focus the communication. 8. More shared projects across the Atlantic, fewer costs. Thanks to the merge, Chrysler can have access to small and efficient engines/cars know-how, while Fiat can make use of Chrysler’s expertise of doing big SUV/trucks. Common projects and developments will become the usual thing and therefore there will be a reduction of costs. The latest Cherokee is a good example of how to use a platform. This is expected to happen to C, D and E segments. But brands can also share their logistics. For example, Alfa Romeo and Jeep could go and reach their ambitious goals by sharing dealers. FCA has one of the largest range of SUV among all car groups. It is expected to be even larger in the next 4 years. 9. More SUVs, more demand everywhere. Part of the growth of FCA will come from SUV segments. Jeep will start selling its first small-SUV this year focusing on Europe, Brazil and Asia. Fiat brand will follow with the 500X for European and US markets, as the trend shows that this kind of SUVs will continue to be popular in Europe, and may find a piece of the market in USA. Jeep will also develop a larger SUV than the Grand Cherokee, while Maserati gets ready to enter the SUV premium segment. 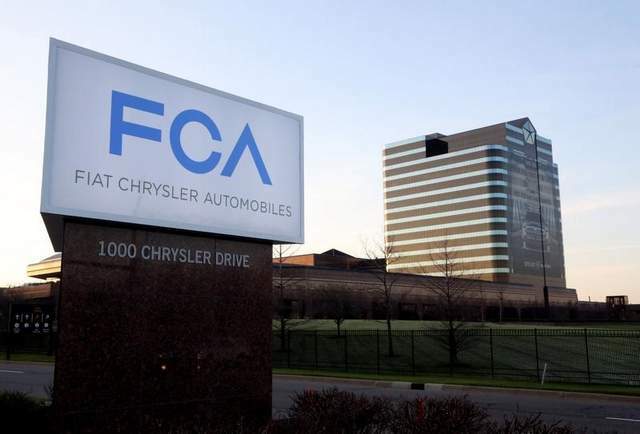 Chrysler brand is also expected to offer some SUVs, and Alfa Romeo will have at least 2 models. This will make of FCA one of the car groups with the largest SUV range that will perfectly match into what the trend will be: more SUV demand not only in North America, but in Europe, Russia, China, India, Latin America and ASEAN markets. 10. To point on other technologies. Currently FCA is one of the few car makers that doesn’t offer a hybrid powered model. They only sell the Fiat 500e in California but is clear that the company doesn’t make money with it. While many car manufacturers continue to invest on the electric solution, Marchionne doubts. Fiat and Chrysler keep working on other energy sources and not only on the electric engines. Based on the CEO’s statements, he believes that there’s a lot to do with current petrol engines to improve their performance, emissions and consumption. ← New Fiat Punto: for India only? Glad you’re back Juan… And back with style. Thanks for the article, well wrote and cool to read! FCA will have tough time, but I think they can do it. Jeep brand is strong in south america, but the lack of products and the high prices make it harder to penetrate the market. Let’s see if with the new factory of FCA in Pernambuco, this change a little. Thanks Leo. Yes, Jeep can’t expect anything if they don’t start producing locally. The Renegade is going to be a success. But he saved Fiat and Chrysler. Don’t ever forget that. And remember what happened to Peugeot and the Chinese. To hire or to fire an employee is a hard task in Italy. To invest in Italy is a hard task. Or why do you think there are no other car makers producing in Italy? If Fiat starts making decisions away from Italy, they better be made by Italians. Who else are they going to let make decisions about the new company? Americans? Yes the Big three were doing well, they haven’t been in automotive wilderness for the past 50 years. So I don’t see anyone else with a 100 year old culture of automotive know how like Italy. If FCA wants to compete with the Germans, they have to double down on Italian R&D. Because Volkswagan is just waiting to move into Italy and steel more Italian talent. Lancia can be also a global mark like a fiat. Working separetely, Lancia can sell cars to the poor people and Fiat for people with a little more money .